When you play online games a fast and steady internet connection is really important. Nothing is so frustrating as high latency which will cause lag and ruin your online gaming experience. I have played online games a lot when I was younger, so I know everything about it when it comes to lag and gaming experience. What surprises me is are gaming routers, they claim to be the solution for your connection problems and they cost a lot of money. But as an IT Guy with more than 15 years experience, I can tell you they are a waste of money. You can better buy the Edge Router X and spend the rest of your money on games. In this article, I will explain to you why the Edge Router X (that cost only $50) is the best gaming router that you can buy. We are going to prioritize our network traffic for online gaming, optimize our network with the fastest DNS servers and if you can’t use a wired connection, optimize the WiFi network as well. Before we are going to the solution, first let’s take a deeper look in what causes the network problems with online gaming and how gaming routers or routers, in general, can solve the problem. If you are playing online you want the network packages from your PS4 or Xbox to get to game server as fast as possible. Most people think that a fast internet connection is the solution to play without lag. To test your internet connection, you can use DSLReport.com. This is one of the best speed tests on the internet and will give you a good insight into the quality of your internet connection. When you are running the test, make sure nobody else is using the network and plug your computer straight into the router. Start the speed test on DSLReport, what we are looking for are three A’s atleast. But you probably end up with a C or D for the buffer bloat. If you BufferBloat is anything lower then A+ or A then you will experience ping spikes and packet loss while you play online. When you play online and you are the only one using the internet connection, you probably won’t have any issues. The problems start when some else in your household is using the internet connection. If they are streaming video (Youtube/Netflix), listing to Spotify or download/uploading files (syncing dropbox/onedrive/photo’s from your mobile) you will notice it immediately. The router is pushing all the network traffic to your internet connection, while not prioritizing your online gaming traffic. Besides that, will it push more data on the internet connection then it can handle, resulting in a buffer overflow. Also, know as buffer bloat. Gaming routers are designed to prioritize network traffic, which is good. Only the way they do it isn’t always that efficient and you are paying a really high price for it. Some are using an online database with IP address they need to prioritize, other only prioritize per device (they give your game console all the bandwidth which isn’t the solution). Al that needs to be done is prioritize data from real-time applications (online games). This can be done with SQM (Smart Queue Management). Another issue with gaming routers is that they provide a wireless network. Most consumer routers do that, but that is completely the wrong way to design a home network. You want to place your access points near the devices that are using the wireless network. Wall, doors, floors, everything between your router and the wireless client will obstruct the wifi signal. They come with 6 or even 8 external WiFi antennas, maybe using unlicenced WiFi channels to avoid interference but in the end, you are still placing the router in the wrong location. A router needs to be placed close to your internet connection. But that isn’t the place where you will be using the wireless network. They solve this by adding more antennas, but what you really should do is place an access point near your gaming device. Another problem with the WiFi of gaming routers, some routers come with massive wireless network speeds, up to 3,200Mbps or even 5,334Mbps. Completely pointless, the newer PS4 models support 802.11ac, which can, in theory, reach only 1,300 Mbps. And your internet connection is maybe 100Mbps down and 20Mbps up, so anything faster than the 802.11ac is pointless. Then the price, a good gaming router cost between the $200 and $400. They may look really nice and the specification look great (more is better.. ) but if you look into the details and into the real problem of what causes the bad online gaming experience, then it’s just too much money. The Edge Router X will cost you around the $50, leaving you with money to spend on an extra access point. The best gaming router in my opinion, from a networking standpoint, is the Edge Router X from Ubiquiti. Now I normally recommend the Unifi product line from Ubiquiti for home networks. Unifi is a bit easier to manage with the Unifi Controller. 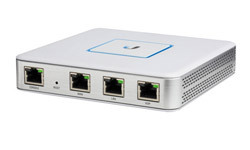 But the Unifi Security Gateway (USG) is a bit more expensive and has a slower processor. The processor is important for the Smart Queue Management, the USG can only handle an internet connection up to 60Mbit. Where the Edge Router X can handle traffic between the 100 and 250 Mbit/s. Now always take the lower number for granted, so the Edge Router X be used for internet connections up to a 100Mbits/s. Now the Edge Route X nor the USG come with WiFi, so if your current router also provides the wireless network in your house, then you need an access point. The Unifi access points are one of the best that you can get. The price of an Unifi Access Point starts at $ 80 for the AC-Lite, so the router and access point combined are still cheaper than those expensive gaming routers. So we are going to set up the Edge Router X (ERX). The best way to do this is by connecting it straight to your internet connection. You will need the PPPoE credentials for your internet connection. Contact your ISP for the details. Unfortunately not all ISP support this, including mine. That doesn’t mean you can’t benefit from the EdgeRouter X. We are simply changing the router from the ISP to forward all the traffic to our router (we put it in bridge mode). Before we change anything to our network, we need to download first the latest firmware for the ERX. I noticed that updating the firmware of the ERX can result in setting up the internet connection again (or reloading the configuration if you made a backup). So let’s start with updating the ERX. You need to download the latest firmware for the ERX on ubnt.com. Go to download and select the EdgeRouter-X on the left side. Download the latest firmware for the router. 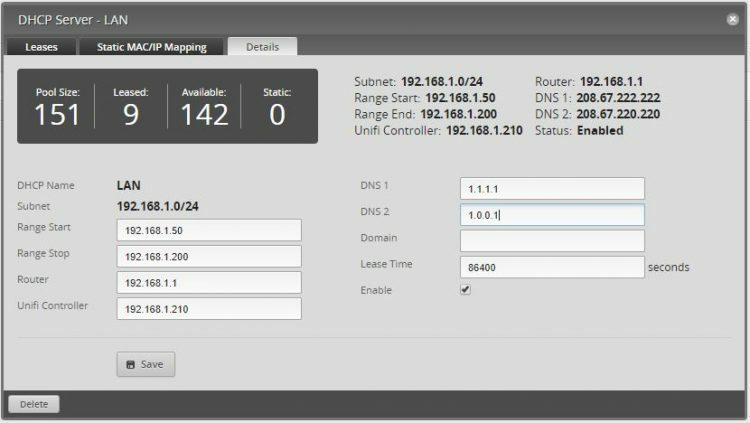 We need to change the local IP address on your computer to match the one from the ERX. Click on Start and run Ncpa.cpl <enter>. Select the Ethernet Network and click on Properties in the context menu. You will now see the dashboard of the ERX. On the bottom, you will see a black menu bar with Alerts and System. Click on System and scroll down to Upgrade System Image. Upload the just downloaded firmware update. Uploading and installing the new firmware will take a couple of minutes. Just wait until you are asked to reboot the router. So we now have the latest firmware installed on the Edge Router X. Now it’s time to start configuring the router. If you got the PPPoE credentials from your ISP then you can use the PPPoE connection type during the basic setup wizard. But if you need to use the router supplied by your ISP, then we need to set your current router into Bridge mode. Disconnect your computer from the Edge router and plug it back into your old router. 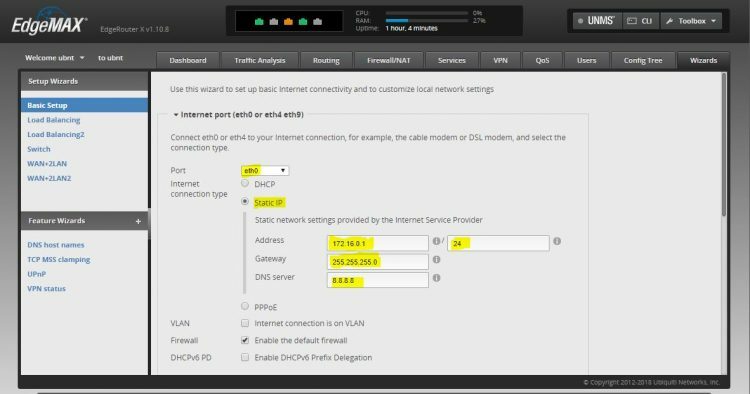 Make sure you change your ethernet connection back to DHCP mode (Obtain an IP Address Automatically). If your old router is in the same network range (192.168.1.x) as the ERX (like in my case), then you will need to change the IP address of your old router. Find the local network settings in your old router. Change the routers ip address to 172.16.0.254 and set the dhcp range to 172.16.0.100 to 172.16.0.200. Internet Connection type (DHCP, Static of PPPoE). If you are using your old router, choose Static IP. Open the LAN Ports section. Here you can configure the DHCP server. I recommend setting the network range to same as it was before. This way you don’t need to change the IP address of your printers for example. The router will reboot and will use the new configuration. 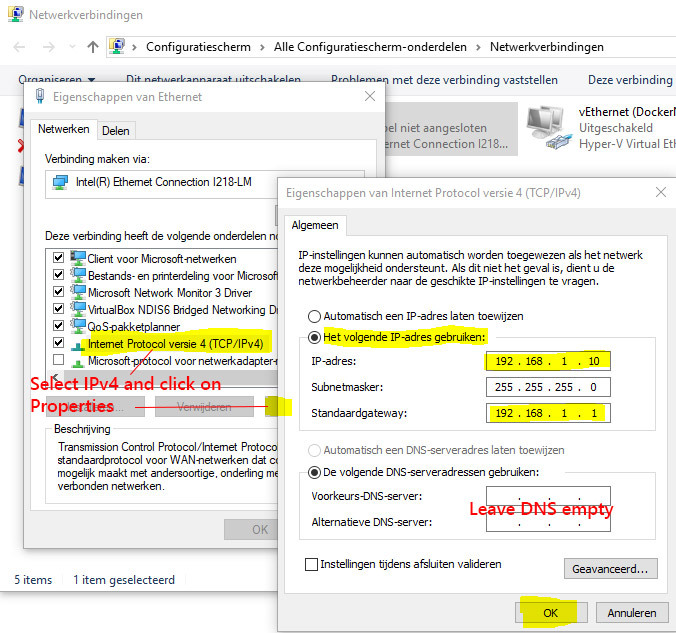 You can now change your Ethernet Connection from your computer back to DHCP mode (option IP address automatically). After the router is rebooted you can log in again using the new password. If everything went right, then you should be able to access the internet through your EdgeRouter X. Before we start with configuring the SQM, we first need to know the real speed of your internet connection. Run another speed test on DSLReport.com. Write down the upload and download speed of your internet connection. If you are using a cable modem, then make sure you’re run the test for more then 10 seconds. Cable modems are known to use a speedboost technique giving your 10 Mbits/s extra for the first few seconds. Keep it running a bit longer and you will notice a drop in the internet speed. Take that number. The whole point of this article is to optimize the router for gaming traffic. If you search online you will find a lot of articles telling that QoS (Quality of Service) is the solution. But setting up QoS require you to configure the priority for different ports and protocols. This isn’t a viable option for online gaming. SQM, on the other hand, is designed to optimize the behaviour for all applications with minimal configuration. It is a combination of better packet scheduling (flow queueing) and active queue length management (AQM). 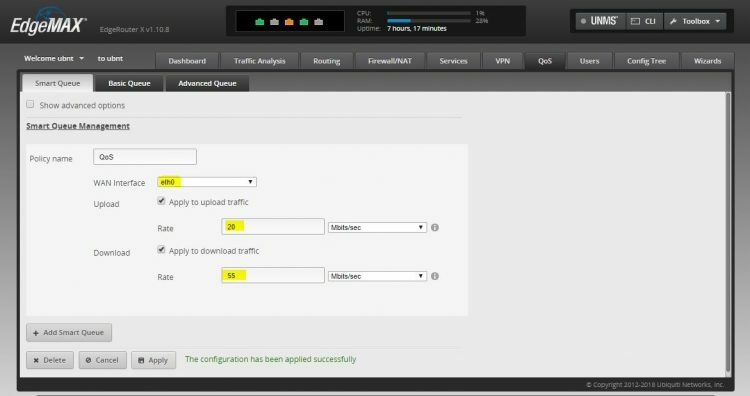 We are going to apply the Smart Queue Management to both the upload and download traffic. In the EdgeRouter X open the QoS tab. 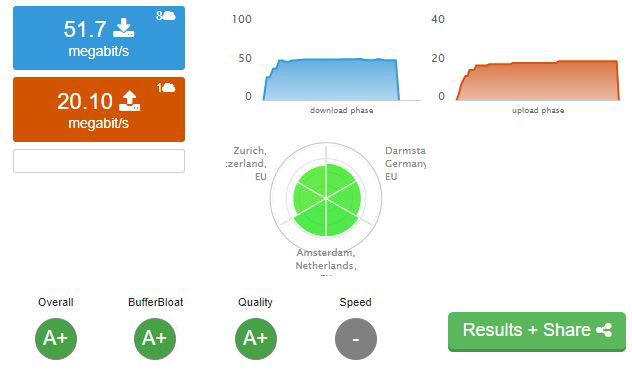 Run the speedtest on DSLReport.com again, you will now see that there is no buffer bloat and your rating should be an A or A+. If the buffer bloat is still too high, then you need to lower the up and download ratings. Now you might need to fine-tune the upload and download rate a bit. I started with a lower rate then the speedtest showed and adjusted the up and download speeds until the latency increased. Don’t fine-tune both the same time. Start with finetuning the download entry and then the upload. Settle with a slightly lower value for the best results. In my result, you see that the Mbit/s is few Mbit lower than with the consumer router. Speed isn’t everything, a stable connection, without any lag is much more important. Especially when you play online. During the basic installation we enter the Google DNS servers, but as I mentioned we are going to optimize the DNS as well. 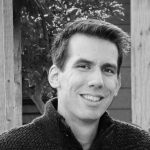 First, why is the DNS server important? Almost everything you do online requires the DNS server to translate a hostname to it’s IP address. The faster the DNS server, the faster your computer can send or request the necessary data. The differences between the fastest server can be up to 30ms or more. Now we can settle with the DNS server that is ranked the fastest by the independent DNS monitor DNSPerf.com. At the moment 1.1.1.1 is the fastest DNS server in the world. But what is fast for you can be different than for someone else. It all depends on where you and the DNS server is located in the world. To find the fastest DNS server for your internet connection you should run the free DNS Benchmark tool. This tool will lookup all the nameservers Download the tool and open it. Click on the Nameservers tab. Wait a few seconds so it can update the list of nameservers. When the benchmark is completed with the built-in list, it will show you the option to build a custom list. While it takes some time to build the list, I really recommend you still take the time to build it. Click on Build Custom List (this can take up 10 min or more) and run the Benchmark again. Note the two fastest DNS Server, we will configure it in the DHCP server of the ERX. We have finetuned the router and on your computer, you can now play games really fast without any lag. But we also need to make sure other devices can be connected to your network and get the right DNS servers. During the basic installation, the built-in setup wizard has already created a DHCP Server. But we want to change the DHCP scope, so we can use fixed IP Addresses for some devices, and add the DNS servers to it. I like to reserve the DHCP range above the .200 for devices with a static IP address. Think of your Unifi Controller, Access Points and other network devices. So I recommend changing your range so it starts a 192.168. *.50 and ends at 192.168.*.200. The address for the Edge Router itself. Leave it as it is, the clients need to know where to find the gateway. If you have a Unifi Controller installed in your network, then enter here the address of it. Setting the Unifi Controller field we create a DNS port forward for Unifi. This will help UniFi devices to automatically discover the location of the UniFi Controller and it smooths the Discovery and Adoption process for Unifi devices. Add there the two DNS server from the DNS Benchmark. These are the DNS servers that your clients will be using. The Edge Router X doesn’t come with WiFi so you will need an access point for that. I have written before about the Unifi Access Point, so for the installing the Unifi AC and tips for the best wireless network performance, you can check this article. Make sure you pay attention to the RF Environment scan part to find the channel that is used the least in your area. We are pretty much done with the configuration of the EdgeRouter X. As always, make a backup of the configuration. 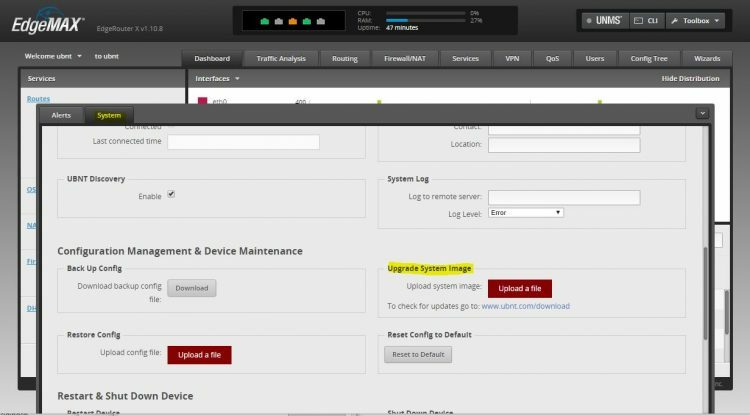 In the Edge Router X, click on system (on the bottom of the screen), scroll a bit down and download a backup of the configuration. With the ERX now installed your online gaming experience should be improved. This configuration doesn’t only help with online gaming, but it will also improve VoIP calls and Video conferencing. If you have any question, just drop a comment below. And please let me know the results of your network improvement after your installed this setup. Online I read about difficulties in handling the EdgeRouter X compared to the USG. Is above manual an indication for how difficult it gets for a “normal” home user? Because that doesn’t seem to be troublesome at all. I am now in the process of setting up a home network (new built appartment), but want that to be relative future proof, so also able to handle multiple (e.g. 4K) simultaneous video streams (television, netflix etc.) over the internet. (No gaming, but video conferencing might be a very realistic option in the near future.) Is this then the better option over the USG? Or should I worry about the “noob” accessability of the ERX. Also I wouldn’t want to waste a fast internet connection by router processing limitations. Above steps are indeed an indication of how easy it is for a normal home user. Yes, the interface of the USG (the Unifi Controller) is easier to work with. But on the other hand, you are not working daily on your router, only during your initial setup. And yes, the ERX is a better and cheaper router then the USG, so I really recommend getting the ERX. This is a great article and helped me understand a lot! So I have 1 gig Internet speed from my cable company (986mbps) and am setting up a new home network and will have a lot of things connected to it. I am a gamer (Xbox one x) my house has 3 floors and I have the house wired with cat5e what would you recommend for my network? I tested out DSL Reports speed test and was only able to get an A for buffer Bloat by cutting my download speed from over 200 to about 70 or so. Upload went from 24 to 21. Seems like a very large drop to get good scores but it seems to have my lag and buffering down a lot. Is this large a cut in download speed normal? 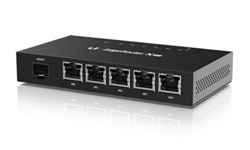 Did you test it with EdgeRouter X? If yes, then it’s normal. EdgeRouter X costs only $50 hence its hardware can’t handle more than 100-150mbit of bandwidth under SQM(They say it’s officially up to 250mbit, but it’s rather marketing). It’s still impressive, since no $50-60 router has such a good CPU(for the price) and 256gb of RAM, not to speak of so many functions you get out of the box(no need in installing Openwrt custom firmware to get them and losing your warranty). Also, do you use Access point (or a bridge to share Wi-Fi? ), if so then check if they re overloading your network. If you only use 1 LAN or a few LANs, then 90-100mbit is what you should be getting without issues. I am not sure what type of connection you got, I assume it’s some kind of passive optical network with FTTB technology, but make sure ISP network terminal and/or client PON terminal(if you got FTTH) are working correctly. I have done the testing and I had to drop the download from over 200megabit/s down to 80 megabit/s to get an A grade on the Buffer Bloat Test. Should I be looking at something else causing the extra Buffer Bloat or is this just the price I have to pay to get Buffer Bloat under control? What type of router and what kind of internet line do you have? If you have cable, you should increase the runtime of the test. Cable peaks in the beginning of the test. 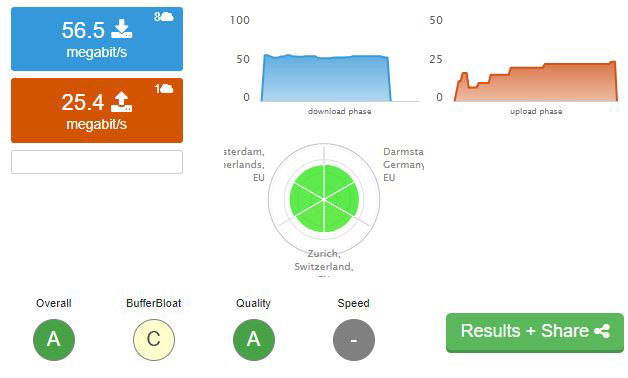 It could be that your router can’t handle the 200mbit with SQM enabled. The Edge Router X is only rated to 100 / 120mbit with SQM. Hi…..i have f bufferbloat and im alone in the line….does this router belp me?? This router will definitely help you.